What are your words to live by...? For me, there are many. But two stand out. For want of a nail the shoe was lost. For want of a shoe the horse was lost. For want of a horse the rider was lost. For want of a rider the message was lost. 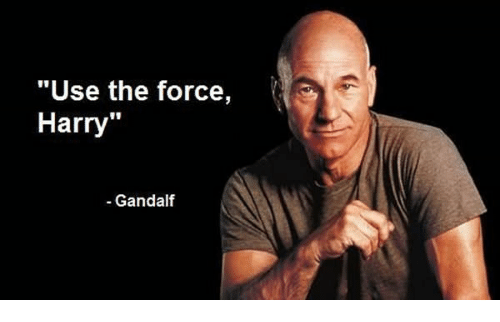 For want of a message the battle was lost. For want of a battle the kingdom was lost. And all for the want of a horseshoe nail." It reminds me to be aware of the little details, they can trip you up every time in my profession (Programmer/Designer). To me it means be flexible, being rigid will cause more problems than it solves. To paraphrase, it means to me "Everyone is my teacher, in that I may learn from them" Be observant. What words do you try to live by? "For Want of a Nail For want of a nail the shoe was lost. For want of a shoe the horse was lost. For want of a horse the rider was lost. For want of a rider the message was lost. For want of a message the battle was lost. For want of a battle the kingdom was lost. And all for the want of a horseshoe nail." To me it means be flexible, being rigid will cause more problems them it solves. Always loved that bruce lee quote. I can picture him saying it. Adaptability is key to so much in life. At the same time you don't have to give in or be a pushover, hence "water can crash"... Anyway that's what I get out of it. He wore a medallion, on it was written "Form without form". Bruce was one of my childhood heroes. "Good things happen when people make them happen." "Situations change when people change." For the want of a nail is my fave Todd Rundgren song. Not sure of the author, but this one made me laugh. "Not my circus, not my monkeys." 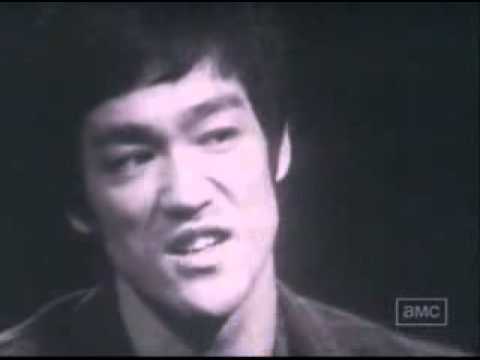 In the TV show Baretta (70's) he had a great saying "This ain't Oz and I ain't the Wizard"
Quick Goggle search credits Ben Franklin with the quote..
but my first exposure to it was here..
Another great comment by Bruce Lee "What is the best way to avoid a punch? Don't be there when it is thrown". "Well, which final revolution do you want then? There isn't a final one." It reminds me revolution is perpetual and not a place to reach. There are some really good quotes in here, thank you for starting this thread. One of my favorite quotes is from Jayne from Firefly (I think): "If you can't do something smart, do something right". Regardless of its source, I think it's a good one. +1000 For the Firefly reference. Joss Whedon has a way with words. Do good and good will come. This is one of my favorites- "Be humble or be humbled." A reminder that no one is infallible. That being cocky is a good way to make oneself look foolish. "Never take life too seriously, you won't get out of it alive". My family would nod in agreement of how this fits me. On the face of it, I appear to take nothing too seriously. But in my defense, being told to de-stress my life or buy a coffin (10 years of 12 hour work days, 6 days a week) helps so... there's that. I tend to see the humor in things, and finally came to a point where you realize so many things are just not important. But to be fair, that realization comes to most of us with age. Time has a way of putting things in perspective, and focus. Once I would constantly be in motion, now I love nothing more than sitting with my 10 old cousin that lives with us, seeing life through her eyes is a gift.i have watched her grow from 2 years old to now 10 in Feb. Children are our greatest resource, I do wonder what kind of world we have left them. I hope they do better than we did. I have come to the very same conclusion and devote much of my time to my daughter for the same reason. In a very real way, I think the purpose of life is to make things at least a little better, to make the world a little better for those that come after us. It sounds like you're doing exactly that. This is from long ago, but anyone deciding if work is more important then family, well read on..
"I've long since retired, my son has moved away. Called him up just the other day, I said "I'd like to see you if you don't mind..". He said "I'd love to Dad if I could find the time. You see the new jobs a hassle and the kids have the flu, but it's sure nice talking to you Dad, it's sure nice talking to you.." And as I hung up the phone it occurred to me, he'd grown up just like me, my Boy was just like me. And the Cat's in the cradle with the silver spoon, little boy blue and the man in the moon, when you coming home son? I don't know when, but we'll get then Dad, you know we'll have a good time then..." Harry Chapin "Cat's in the Cradle." Meme I made myself and eventually shared with friends. 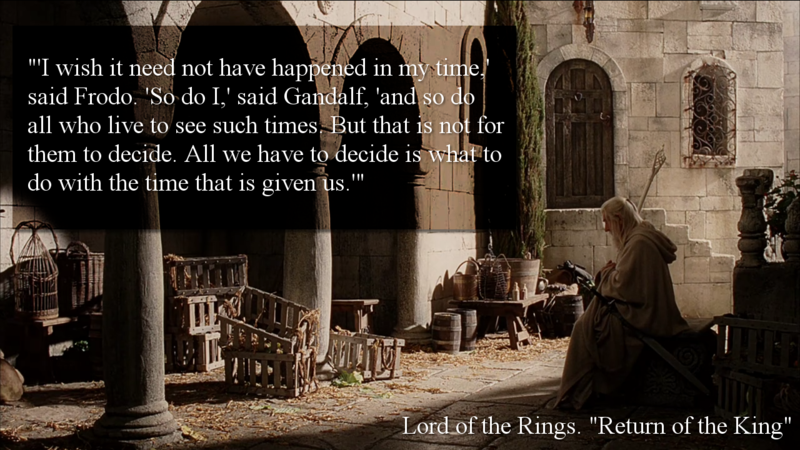 One of the most powerful exchanges in LOTR imho. Loyalty is life, patience is key. "Things turn out best for the people who make the best out of the way things turn out." Another perspective on the stay flexible principle.